Vive RNSSO(www.iby-rnsso.org)forever and Ever, we are cerebrating our success to have rescued you RNSSO from your enemies hands and brains.Thank You Almighty Father In Heaven for your power you exercised to protect RNSSO and now it is still alive despite all negative pressures from the enemies of RNSSO since June 27th, 2014 and 10th March,2016 until finally Sunday 18th March,2017 .The Pressure has been very high our resistance was instead millions times their pressure become zero the destruction was neutralized and thus RNSSO you are still alive and you have won the pressure from your enemies ,this victory will keep making your Founder to arise and shine the values of your extraordinary results of benefiting the whole nation with your objectives, values,mission and vision which is very making us all to keep united despite the negative high pressures that boost this love we really love you RNSSO from your foundation until ever and ever ,our children will keep honoring you RNSSO and those who never left You. 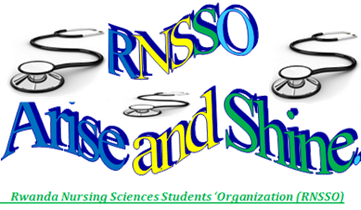 Come again to the RNSSO online news for every day Rwanda and Worldwide Nursing Sciences academicians and Professionals related opportunities and Updates . Read the updates on the AUSC Partnership with RNSSO from the above website . African Union Students’ Council (AUSC) President’s Office Agreement confirmation for Partnership with Rwanda Nursing Sciences Students’ Organization(RNSSO)”Arise and Shine” for the World Kidney Day celebration Campaign starting from 5th March to 31st March , 2017. 1) AUSC to provide copy of AUSC Notarized Constitution and financial support to RNSSO as much as needed. 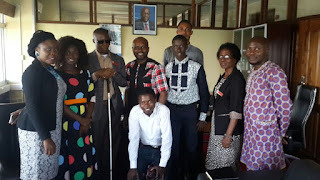 2) AUSC to provide working office to RNSSO while providing campaign activities to maximize the campaign activities which includes Screening for Kidney Diseases Risk Factors among population that needs it across the Kigali City . 3) Follow up the facilitation materials from the Health Centers and other offices related to the campaign including Kigali City. 4) Involving more partners for financial support to the initiative. 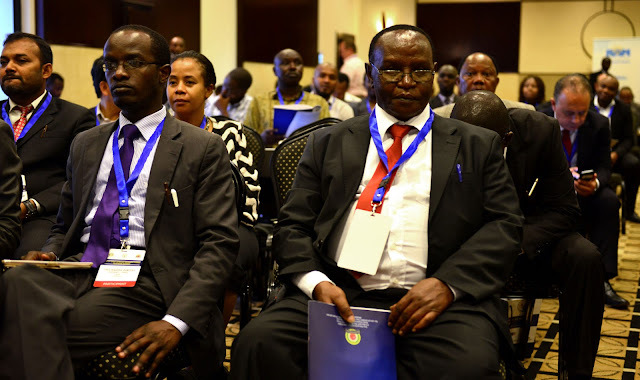 5) Reporting the event activities to the intended stake holders including the Rwanda Governance Board (RGB), Ministry of Health, World Health Organization, Rwanda Biomedical Center (RBS) and others interested in this campaign. 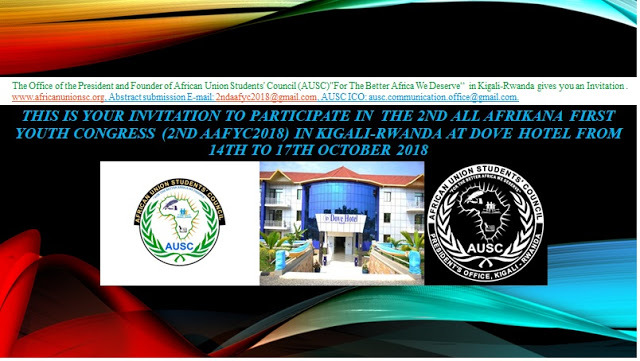 This AUSC President’s Office signed agreement supports the initiative of the Rwanda Nursing Sciences Students’ Organization (RNSSO)”Arise and Sine” with the below agreement accepted to provide with collaboration and partnership with African Union Students’ Council (AUSC)”For The Better Africa We Deserve” . 1. 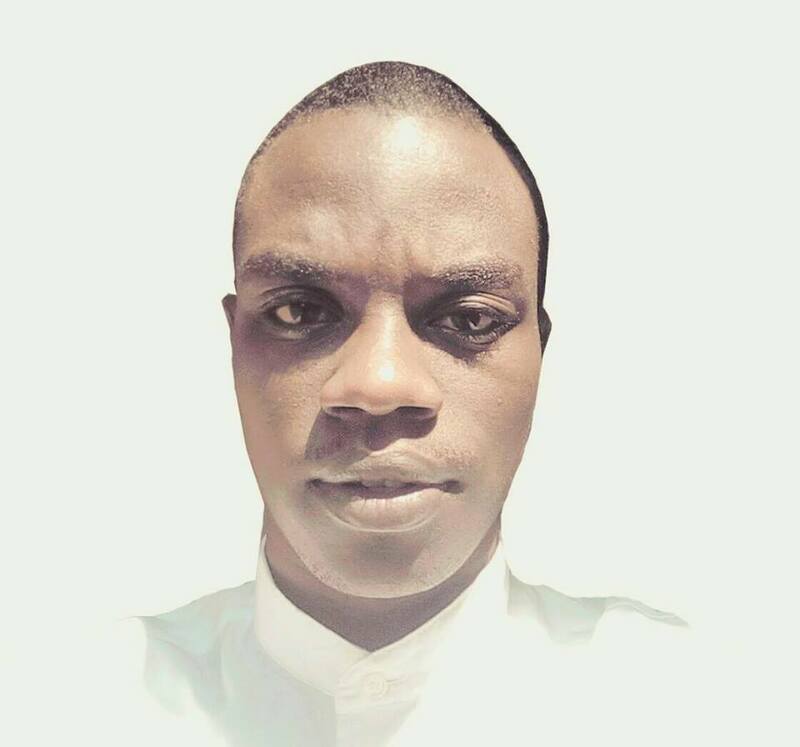 Providing Health Sciences Personals recruited as volunteers or part time job seekers in different health Sciences related activities of AUSC in Rwanda and Outside Rwanda. 2. Provide copy of RNSSO Notarized Constitution to the AUSC to serve for reference as needed. 3. Provide possible working opinions and recommendation materials for this partnership and collaboration during the World Kidney Day celebration Campaign starting from 5th March to 31st March, 2017and more concerning World Kidney Day celebration, to maximize the campaign activities which include Screening for Kidney Diseases Risk Factors among population that needs it across the Kigali City, and elsewhere possible. 5. Assure regular possible technical support to the AUSC as much as possible from the RNSSO in a non-limited period from today. The undersigned partnership will be allowed to serve as supporting material to the needed Offices to provide more technical and financial assistance for this campaign. The Office of president of African Union Students’ Council (AUSC); a Pan-African Organization with mission to raise awareness of United Nations Sustainable Development Goals (SDG) among Africans and vision to shape the Better Africa We Deserve; is involving in a partnership and collaboration with Rwanda Nursing Sciences Students’ Organization(RNSSO) to establish collaborative partnership with Kigali City’s Health Centers through our planned Campaign activities in Kicukiro District, Nyarugenge District and Gasabo District , for this partnership and collaboration starting during the World Kidney Day celebration Campaign from 5th March to 31st March, 2017and more concerning celebration of WORLD KIDNEY DAY in Rwanda at the 2nd time, with theme” Kidney Disease & Obesity”. AUSC wished to fully implement 3rd SDG” GOOD HEALTH AND WELL-BEING” in Rwanda. This requested partnership and collaboration with Kigali City is supported by Article 4 and 5 of attached AUSC Notarized Constitution by Notary of Government of Rwanda, while our annual campaign will keep reducing occurrence of kidney disease, comorbidity and Mortality in Kigali City. Associated conference to take place at Hotel Hilltop on 9th March 2017; bringing together all screened individuals by AUSC volunteers. Best Regards. 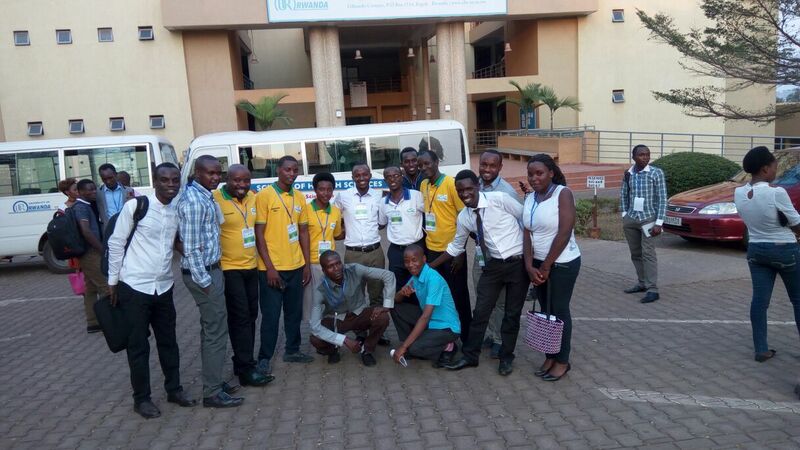 On this picture Mr IRAGUHA BANDORA Yves in front seat on right side is the young gentleman President and Founder of Rwanda Nursing Sciences Students’ Organization(RNSSO)”Arise and Shine” the Associate Member of Commonwealth Students' Association (CSA)"Fraternity"